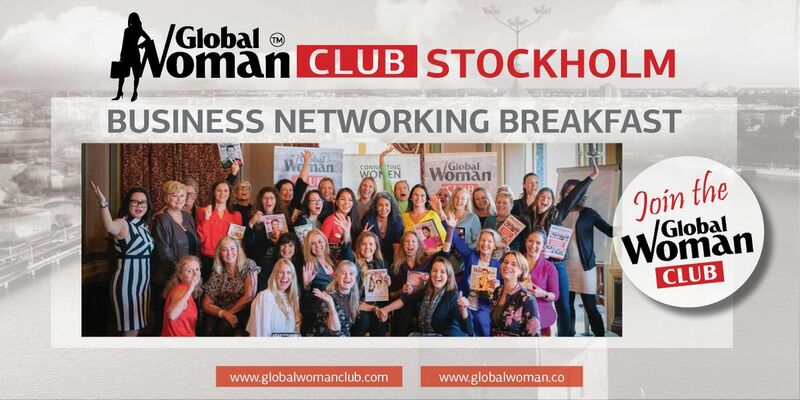 Join us for the Business Networking Breakfast at the prestigious Grand Hotel in Stockholm on Friday 12 April 2019 from 8.30am to 11.30am. On arrival, help yourself to tea or coffee or orange juice followed by a delightful buffet breakfast, in the most beautiful and grand setting in Stockholm, and meet and greet with each other. Ellen will start the event at around 9.00am and then club members are all given the opportunity to speak for a short time to the room. (First time attendees can sign up on the day and immediately enjoy the additional benefits). You can share your personal story, your mission and/or vision, and talk about your business. There is no set order for speakers, some prefer to speak earlier, others later. After about an hour there is a break for a drink, pick from the healthy fruit plate, select a croissant or muffin, and engage with others in conversation. We then gather everyone together and ask you to smile or wave for the group picture! After that, back to your seats and the second half for speaking to the room. This has an end time of 11.30am and many choose to stay for a little while afterwards for further conversations, or with second half speakers that they have felt a connection with. Members can leave brochures or leaflets on the table by the entrance/exit or on the chairs during the break. It has evolved from Global Woman magazine, sharing so many great and inspirational stories and often bringing these women together to connect and share in person. 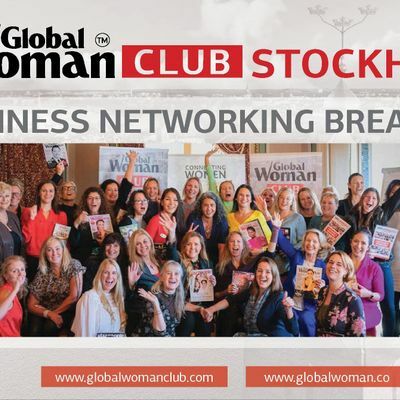 Speak to anyone who has attended a Global Woman event and they will say that it is unique and different to any other networking event they have been to. It has a warm, relaxed and supportive energy, and everyone is open and authentic. It is about building relationships and seeking mutually beneficial collaborations from a rich cultural diversity of women, very successful in what they do, but in such a broad range of professions and businesses. We are now in London, Paris, Amsterdam, Antwerp, Stockholm, Gothenburg, Oslo, Milan, Vienna, Los Angeles, New York, Chicago, Nottingham, and Birmingham UK, Johannesburg South Africa, with many more opening in the last quarter of 2018, including Monaco, Frankfurt, Brussels, Bucharest, Dubai, Dallas, and Stockholm City Club in the evening. Join the Global Woman Facebook Public page for updates and alerts. In 2018 Global Woman held 6 Mastermind Class events, a conference bringing men and women togeher for a better understanding of each other, all in London, and 7 full day conference launch events globally, plus the annual Global Woman Summit, held in New York in July, with the legendary Les Brown as the keynote speaker, and also hosted the Global Inspirational Awards and Gala Dinner in New York.